Holden Beach Vacations has been in business since 1981 and it's here to offer you over 3 decades of experience. 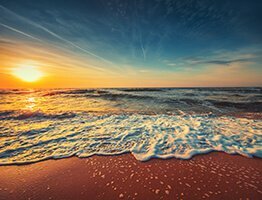 Whether you're looking for a Holden Beach vacation rental or looking to purchase a home in Brunswick County, Holden Beach Vacations is your Holden Beach expert! We offer many different types of vacation rentals in Holden Beach that are sure to meet all of your needs. For those of you looking to bring your furry friend, we have a large variety of Holden Beach dog-friendly rentals. 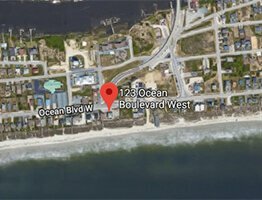 We also have quite a number of Holden Beach oceanfront rentals for those of you wanting to experience our beautiful beaches right in your backyard. We warmly invite you to experience all that Holden Beach, North Carolina has to offer. This invitation includes endless days of sun and sand on America's #1 Best Family Beach. 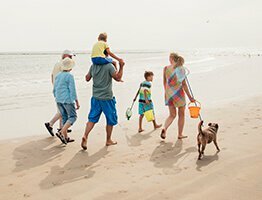 "It's All About the Beach" as you discover the seaside treasures, whether you are enjoying local cuisine, shopping in local businesses, golfing on one of our 32 courses, fishing in any of our endless waters, or just digging your toes into our sandy shoreline. There is "shore" to be something to entice and capture your mind, body, and soul. "It's All About the Beach" with days and afternoons filled frolicking in the sand and surf, building sandcastles, and making memories to last a lifetime. We have been bequeathed with simple pleasures and abundant opportunities to memorialize your time here. 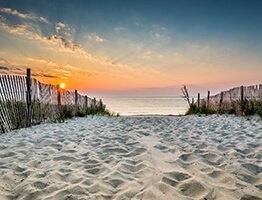 Our friendly staff is here not only to help you book your Holden Beach vacation rental or find Brunswick County Real Estate to purchase; we are here to help you learn more about the area. We want to make sure you experience all of the hidden treasures Holden Beach has to offer! If you don’t find what you’re looking for on our website, contact us to speak with someone on our reservation team. We love Holden Beach and cannot wait to welcome you here. Book your Holden Beach vacation rental today, and create memories with us that will last a lifetime!